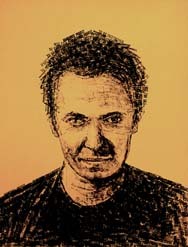 Vik Muniz - Vik Muniz was born in Sao Paulo, Brazil in 1961, but has lived and worked in New York since the late 1980's. He began his career as a sculptor, but gradually became more interested in photographic reproductions of his sculptures and eventually turned his attention exclusively to photography. In addition to The Things Themselves: Pictures of Dust at the Whitney Museum of American Art from January 27 through May 20, 2001, Muniz' work was recently included in several the following group shows: the Whitney's 2000 Biennial, Media/Metaphor at the Corcoran Gallery (opened December, 2000), Liverpool Biennial of Contemporary Art (1999) and Museum as Muse: Artists Reflect (1999) at the Museum of Modern Art in New York. He has been creating a new series of works at the USF College of Visual & Performing Art’s Institute for Research in Art | Graphicstudio specifically for his solo exhibition, which will be presented in the USF Contemporary Art Museum in the fall of 2004. Lilian Toné - Lilian Toné is the assistant curator in the Department of Painting and Sculpture, the Museum of Modern Art, New York. She holds a B.A. from the Fine Arts College, Armando Alvares Penteado Foundation, São Paulo, Brazil, as well as a B.A. from the Law School at University of São Paulo. She has held curator positions at Actual Size (2000) and White Spectrum (2000) and was curator or cocurator, on projects with General Idea; Karin Davie, Udomsak Krisamanis, Bruce Pearson, and Fred Tomaselli; William Kentridge; and John Armleder and Piotr Uklanski, at the Museum of Modern Art, New York. Lilian Toné's published work includes numerous exhibition catalogues, as well as other publications. Sponsored by the Institute for Research in Art: Contemporary Art Museum | Graphicstudio; the National Endowment for the Arts, a federal agency; Florida Department of State, Division of Cultural Affairs and the Florida Arts Council; and the University Lecture Series (ULS).